Order online for low cost delivery to WF and LS postcodes. For deliveries outside these areas please call for a quote. This panel has a unique design. 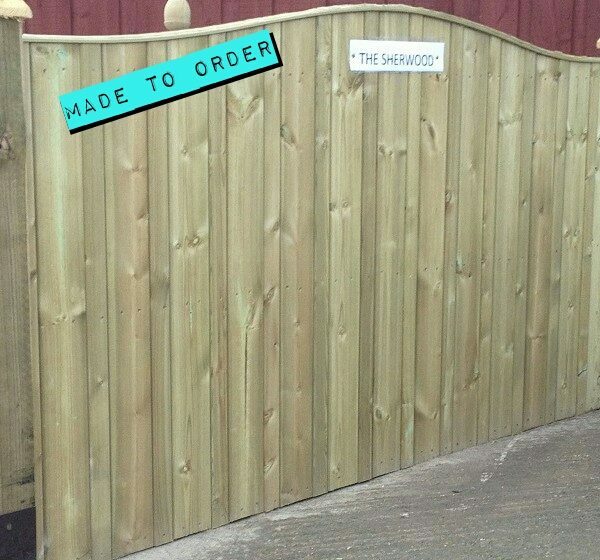 The Sherwood is made using two different sized deluxe planed timber boards. 90mm boards are placed beside 50mm boards. Both run vertically and create a unique and attractive panel. 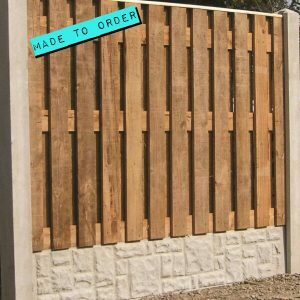 Please note that all products manufactured and stocked by The Sawmill are produced from the highest quality materials available to us. 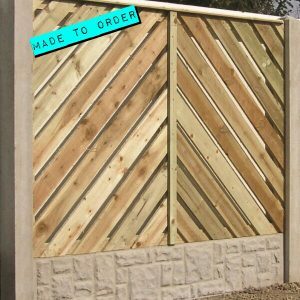 Where timber fencing is concerned however, it must be noted that wood is a natural product and it is not uncommon for it to split, warp, shrink and expand. 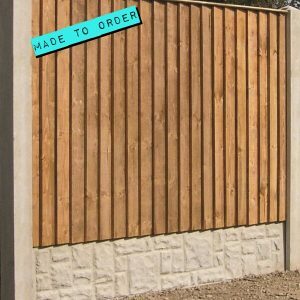 Panels are pressure treated as standard but we would advise treating your fence annually with a wood treatment and apply it to both sides. Warping can occur with uneven applications of treatment. We cannot guarantee against rot but regular treatment will help with the longevity of the product. Colours may vary with different batches of timber. 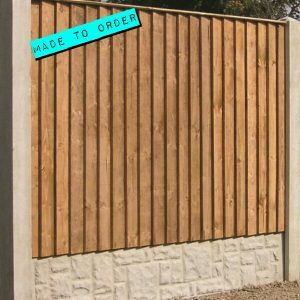 Most of our panels are made to order and non-refundable. Please ask if you require further information.